Easy pace 5 mile walk, across grassy meadows and through hemlock forest, to scenic Walden Pond. The fall foliage colors, in Walden Woods are beautiful. 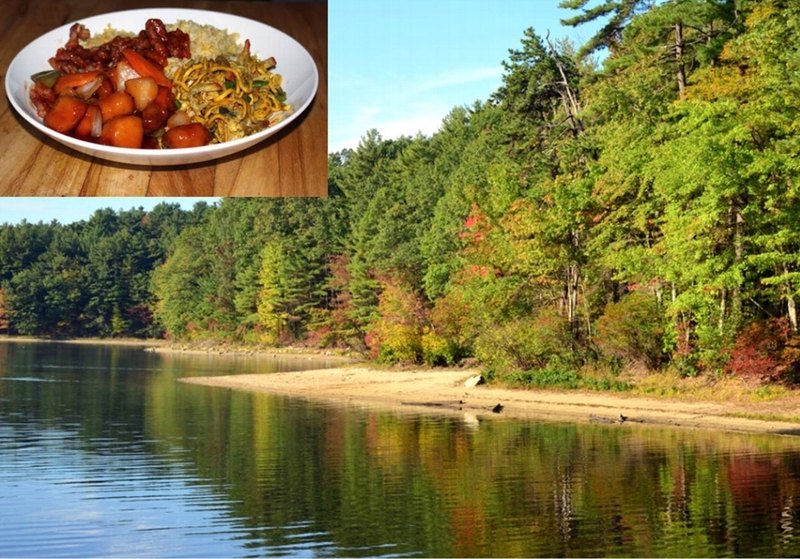 Walk followed by dinner/social hour at China Ruby Restaurant, in nearby Maynard, at around 2:00pm. Meet 11:00am, at Lincoln Train Station commuter parking lot. From Route 2, take Route 126 South for 2 miles. Turn left on Codman Road, follow to end. Turn left, see Train Station on left.